The Gregge 12 is a stylish way to fight off the winter chill with a soft and itch free 100% Merino wool construction, and a handsome striped pattern. Wool naturally wicks moisture, regulates temperatures and resists odor. A longer-than-usual 12cm cuff provides extra protection on your colder rides, and a variety of color options make this sock a winner with any kit. The Gregge 12 is available in sizes S/M, L/XL and XXL. Great winter socks-warm, but not scratchy wool. The foot provides lots of padding-very comfortable. Socks fit and perform better than the thinner versions of cycling socks. Worked great to keep feet warm in cooler temperatures. Plus they look great. Not what I expected. Very thin was hoping more material. I wanted a thicker sock, my feet always get cold because they came close to frost bite while winter hiking years ago. Great socks & they are warm & fit Great in my Road & MTB shoes they Look very stylish !!! These are not too thick, but are warmer than the basic thin cycling sock. Manages moisture well. I like them. These are very well made, holding their shape after multiple uses and washes. Warm and comfortable. These socks are nice and warm on a cold ride. Could be taller though. Nice socks for the winter rides. Slightly longer length is perfect for staying above your bootiesshoe covers. So far after several rides and runs these have held up well. Great for after rides too. Best socks I've ever had! Great, comfortable, warm socks! Perfect mid-weight, and taller to keep you warm. Holding up well after multiple washings. Material is great, keeps your feet dry and warm, but it's not a 12cm cuff. More like 10cm. Being an outdoor enthusiast, I have been using merino wool socks for years. 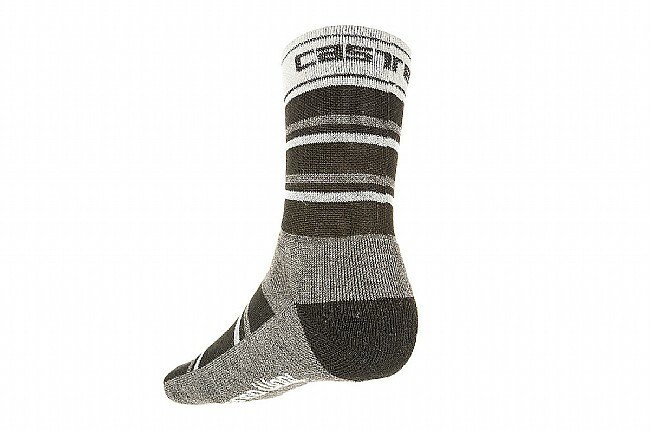 These socks are a great weight for cycling; not too bulky, but still provide enough coverage and warmth. 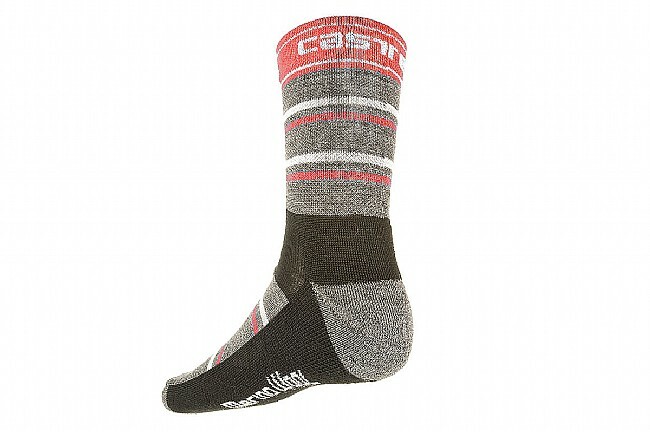 They are typical Castelli quality. On sale, these socks are a great deal. I have multiple pairs that I rotate through during the winter season. Not cheap, but wool isn't. they feel warm above 80 degrees F, but great daily socks in the bay area. I like the variety. . . The number of color options on this sock is what attracted me to it. It is a lighter wool so it works well during the mild winter in Dallas. But on those colder days, I would opt for something with a little more thickness. These socks are just perfect, because they are light, but warm at the same time. Fits good, warm and comfortable. As advertised, would buy again.